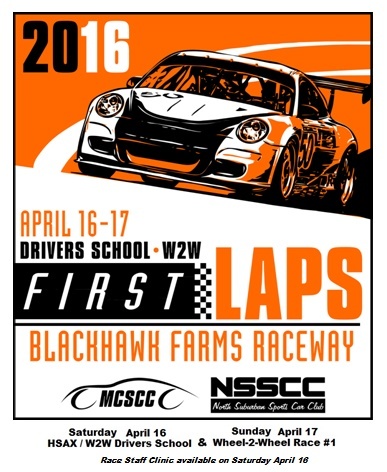 North Suburban Sports Car Club proudly presents "2016 First Laps!" on Sunday April 17, your first chance to score Midwestern Council Championship Points! It follows the first Drivers School on Saturday April 16. Please download the full entry form below for full details and schedule. Click the MotorsportReg.com logo for details!